One of the hardest things to do when you are raising a child on your own is making your paycheck fit. Fortunately, I have a good job and we live simply so that it provides what we need. 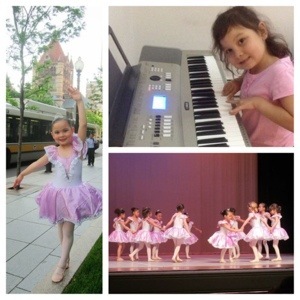 However, my kid is into dance (ballet) and music (piano) both of which are, in my opinion, beautiful and worthy of pursuit. Unfortunately, these lessons also require $$ and time — both precious commodities for a single parent. I had the pleasant surprise to be a recipient of an act of kindness yesterday when a good friend contributed to our lesson fund in lieu of a birthday present AND gave me an additional check from one of her friends who wished to remain anonymous. I instantly said a prayer for these kind people. It is more validation that God is watching out for us and that I am never alone. Thank you Rubi and your anonymous friend. If Katie ends up playing in Carnegie Hall or dancing in a Boston Ballet production, I promise you complimentary tickets 🙂 God bless!